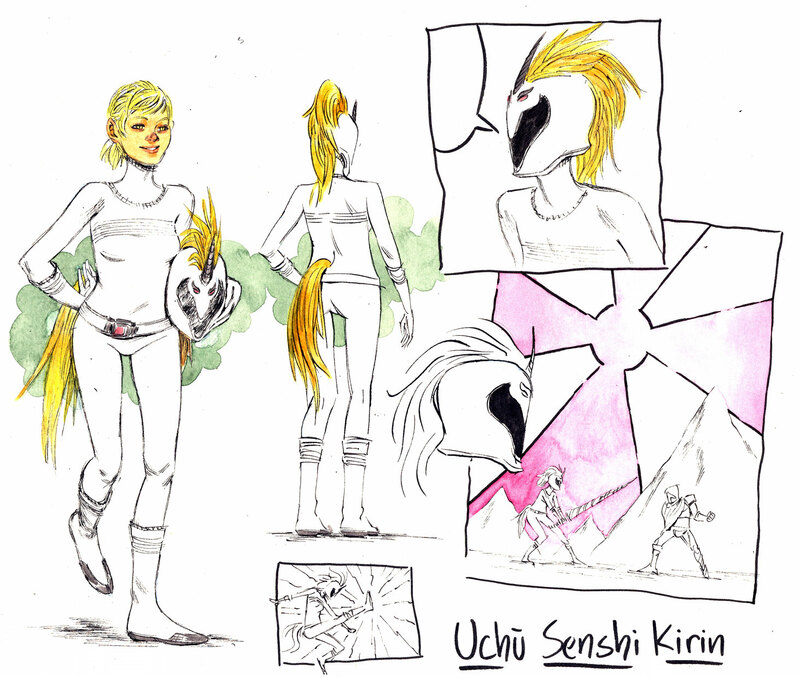 Uchu Senshi Kirin is a former member of the Uchu Sentai, a multi-species alien team dedicated to fighting the forces of the evil space wizard, Ronin Repulsa (it's his tourney, after all). The team disbanded for unknown reasons. Kirin is equipped with a standard sentai ray gun and a "Kirin Lance" (it looks like a narwhal tusk with a handle). She also has a giant kirin robot, but all it can do is transform into a left leg, so it's pretty useless.